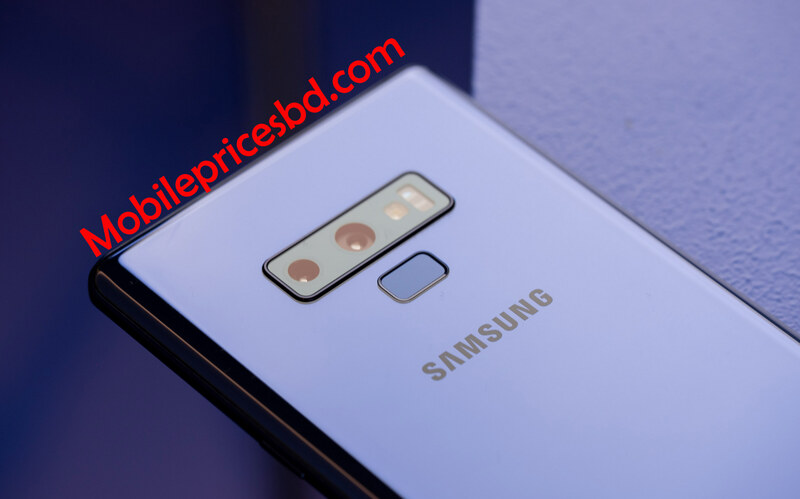 Samsung Galaxy Note 9 smartphone was launched on 23 August 2017. The phone comes with a 6.4-inch 18.5:9 Full-View, Super AMOLED capacitive touchscreen, 16M colors display with a resolution of 1440 pixels by 2960 pixels at a PPI of 516 pixels per inch. It measures 161.9 x 76.4 x 8.8 mm (height x width x thickness) and weigh 201.00 grams. 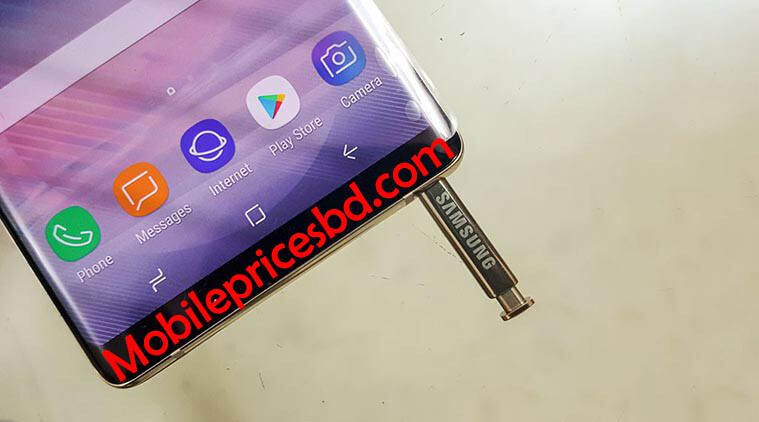 Samsung Galaxy Note 9 is a Single SIM (Nano-SIM) or Hybrid Dual SIM (Nano-SIM, dual stand-by) (GSM) . Connectivity options include Wi-Fi, GPS, Bluetooth, 3G, and 4G. Sensors on the phone include Sensors, Iris scanner, fingerprint (rear-mounted), accelerometer, gyro, proximity, compass, barometer, heart rate, SpO2. 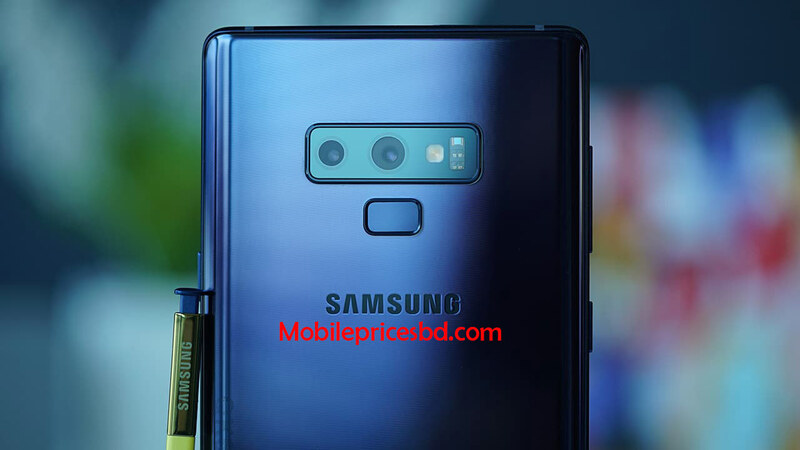 As far as the cameras are concerned, Samsung Galaxy Note 9 packs a 12+12-megapixel primary camera with LED flash on the rear and a 08-megapixel front shooter for selfies. Samsung Galaxy Note 9 is powered by Octa-Core 4X2.8 GHz ARM Cortex-A55. Cores Quantity 8. Samsung Galaxy Note 9 runs with (Android 8.1 Oreo). Samsung Galaxy Note 9 comes with 6/8GB of RAM. The phone packs 128/512GB of internal storage that can be expanded up to 512GB via a microSD card. Samsung Galaxy Note 9 comes with 6/8GB of RAM. 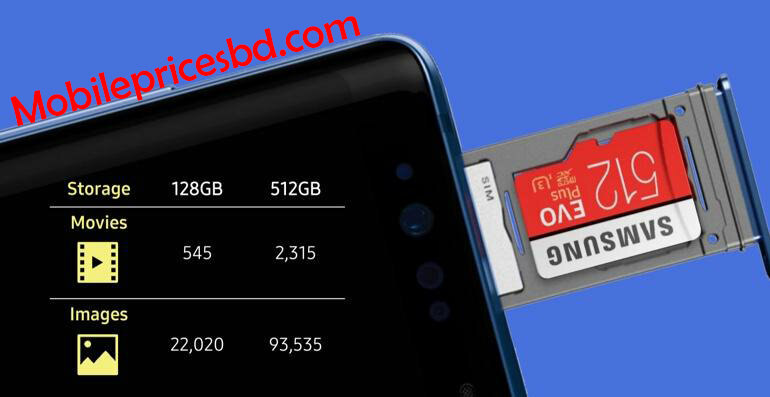 The phone packs 128/512GB of internal storage that can be expanded up to 512GB via a microSD card. 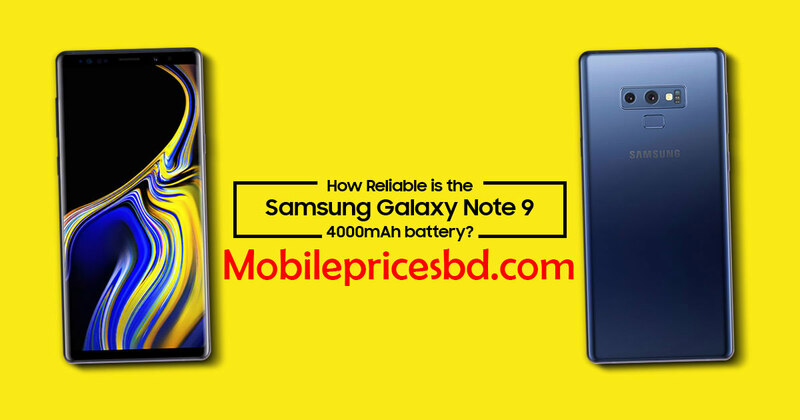 Samsung Galaxy Note 9 is powered by a 4000 mAh Li-Ion (Lithium Ions) non-removable battery. 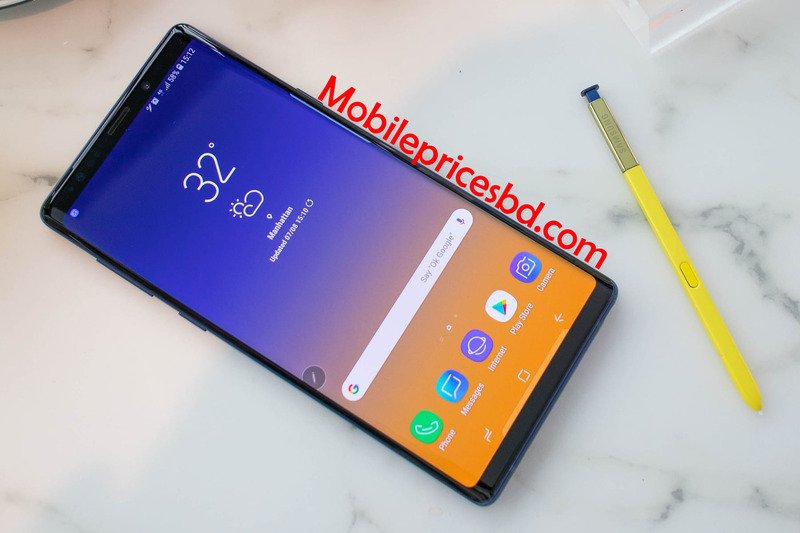 This Samsung Galaxy Note 9 is a flagship Smart Phone from Giant Samsung Electronics Company. 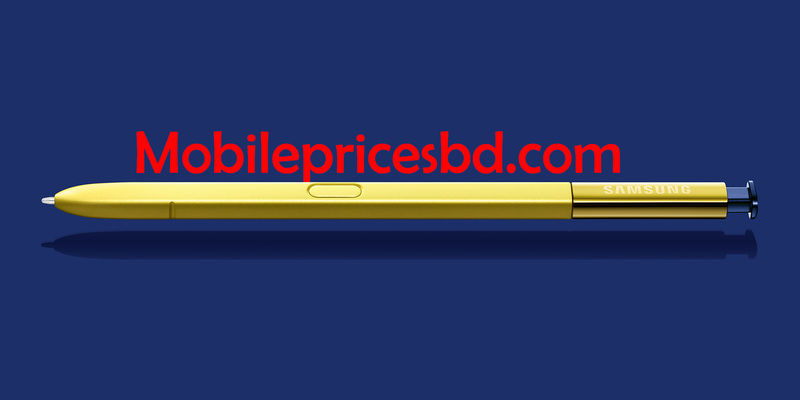 now Samsung Galaxy Note 9 is available in Bangladesh mobile market from 23 August 2018.